Hot-blooded Buddhist monk. A founder of Nichiren Buddhism! 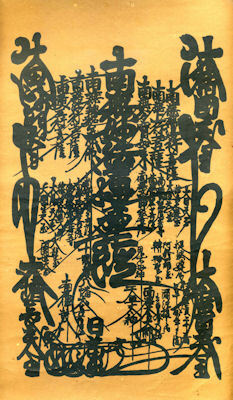 Nichiren was a Buddhist monk who lived during the Kamakura period (1185-1333)?in Japan. He thought that the Lotus Sutra is the best. And he taught devotion?to the Lotus Sutra, Namu-Myoho-Renge-Kyo, as the exclusive means to attain?enlightenment and the chanting of “Nam Myo ho Renge Kyo” as the?essential practice of the teaching. He is famous monk who faced a many?difficulties. After his death, numerous sects espousing diverse doctrines?were also established. The hallmark of this school is Hokke (Jikkai) Mandala Kanji character version. 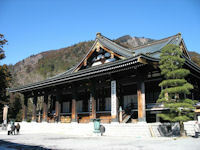 Nichiren Buddhism head temple is Kuon-ji at Mt. Minobu, Yamanashi Japan. ?It’s one of the largest temple. Mt. Minobu and Mt. Shichimen (next to Minobu) are significant area as Nichiren?Buddhism.